The Day The Earth Stood Still 1951 Pressbook PDF downloadable file. 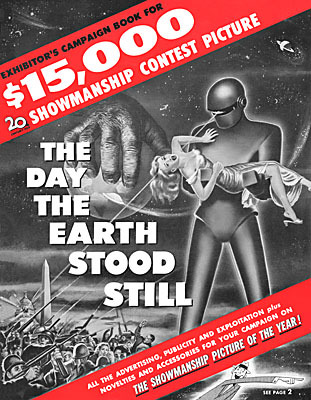 This is an adobe acrobat PDF file of the entire 1951 The Day the Earth Stood Still 24-page Pressbook with Ad Supplements. The PDF format allows the viewing of the complete pressbook in it's original layout with all pictures, text and ads right on the computer screen also enables printing of pages for reference purposes.